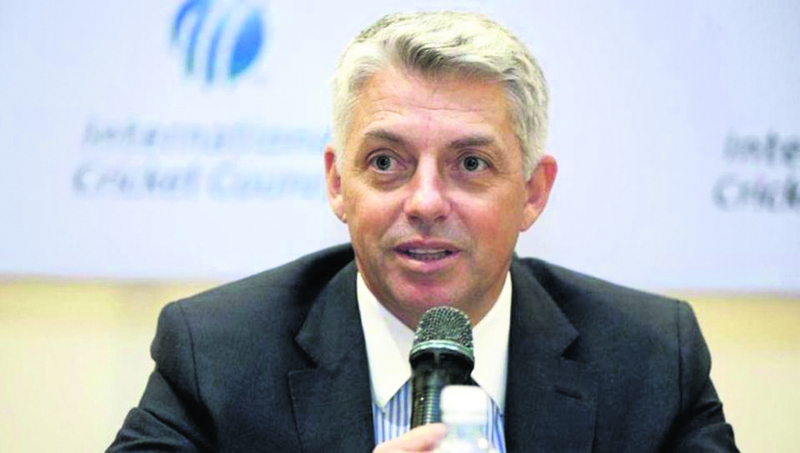 International Cricket Council (ICC) CEO David Richardson has picked India as the favourite team to win Cricket World Cup. Richardson feels that India's massive progress will aid them in the coveted event. "It is extremely difficult to pick a winner. Obviously, India is playing really well. England has got their best ODI team in many years. South Africa has also performed. But the progress the Indian team has made in the recent years, it will be exceptionally difficult to beat them," Richardson said. India are in top form at the moment and have won four successive ODI series since their loss to England in July last year. Moreover, the dual series victory in Australia and New Zealand this year shows that India are on the right path. The Indian team has clicked well in all departments and things look bright for them. Besides India, hosts England are going to challenge for the trophy as well. Eoin Morgan's men also will have home comforts in their favour. England go into the World Cup with the least issues. They have a settled side and plenty of depth in every department. India have a few issues going into the World Cup. They sorted out the third pacer problem and have identified the positions for major part of their batting. The bowling looks strong and so does the bench strength. But the number four position in batting is a worry. Ambati Rayudu hasn't quite looked convincing. India have a call to make if Rayudu keeps failing. June 5: India vs South Africa (Southampton); June 9: India vs Australia (The Oval); June 13: India vs New Zealand (Nottingham); June 16: India vs Pakistan (Manchester); June 22: India vs Afghanistan (Southampton); June 27: India vs West Indies (Manchester); June 30: England vs India (Birmingham); July 2: India vs Bangladesh (Birmingham); July 6: India vs Sri Lanka (Leeds).